Greenbriar Picture Shows: There's Vampires In The House! There's Vampires In The House! 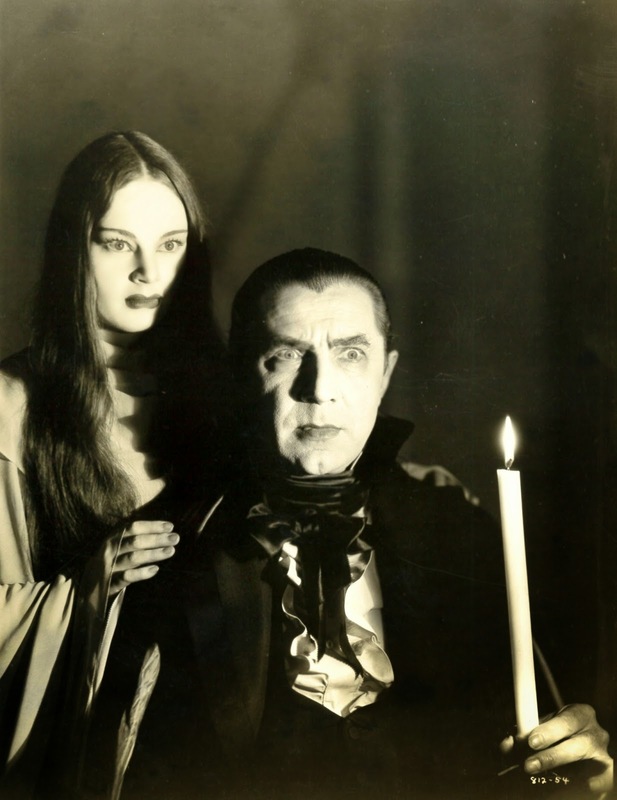 A thing I found fascinating in Famous Monsters day was Carroll Borland (vampiress attired) turning out with Forrest Ackerman at shop center monster meets, Tor Johnson also in sometimes appearance. Borland showed up too at the LA 1965 premiere for Tomb Of Ligeia. Had any player traded on so small a part from such an obscure movie? 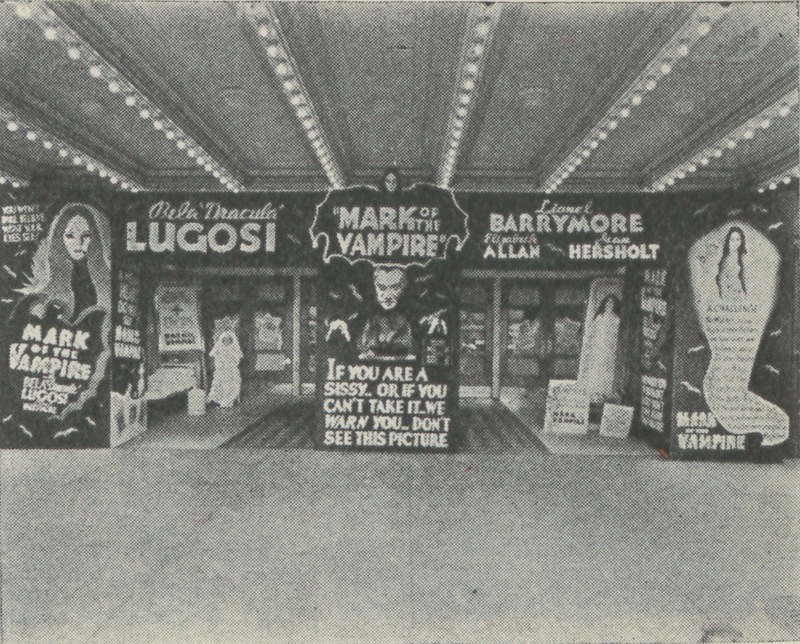 Mark Of The Vampire was, at least for me, impossible to see during Shock Theatre days, being pre-48 Metro and thus not in packages NC stations bought. I was years brooding over stills run in FM and similar mags, these making Mark look a best ever of screen vampiring. A 16mm print at a Charlotte cowboy con turned out to be original from MGM storage, the dealer tagging it at $135, maybe because it didn't feature Buck or Hoot, a steal that would have justified my walking ninety miles to the Queen City for such treasure. Came the letdown with a first view so long anticipated, though Mark Of The Vampire has somehow since become one of my favorite 30's horrors, the 16mm, then a DVD, and now HD stream, having passed its single hour (yes, a mere 60 minute run time) two-three times per many annums since early 80's acquisition from Charlotte's under-pricing film wrangler. 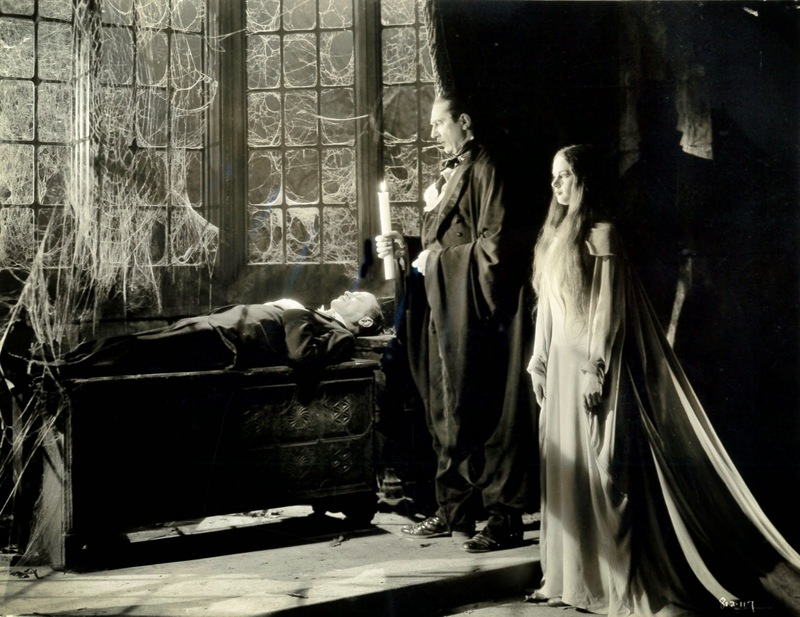 Everything on a surface appears to blight Mark Of The Vampire: woeful and much comic relief, that the province of Donald Meek and a screeching maid, plus you could argue Lionel Barrymore as playing less than straight his Van Helsing variant. MGM's treatment of the supernatural as purest nonsense means a rug yanked from under trusting patronage when the vampires turn out to be fakes, 59 minutes a mere charade to extract a confession from otherwise unlikely killer Jean Hersholt. The cheat bothered me for years; now I'm almost charmed by it. Metro seems to do everything it can to undercut chills, so why construct creepiest sets imaginable to house what turn out to be ersatz bloodsuckers? The look and atmosphere of this show was what patronage remembered, and took to troubled sleep. Photographing James Wong Howe should maybe take most credit here, plus whoever in Cedric Gibbons' department worked out the sets. There has been revisionist thought as to Todd Browning's contribution, survivor interviews suggesting he was no creative powerhouse and still in a Metro doghouse for the Freaks disaster of a few years earlier. Is ongoing lionization of Browning more a matter of monster boomer's wishful thinking? 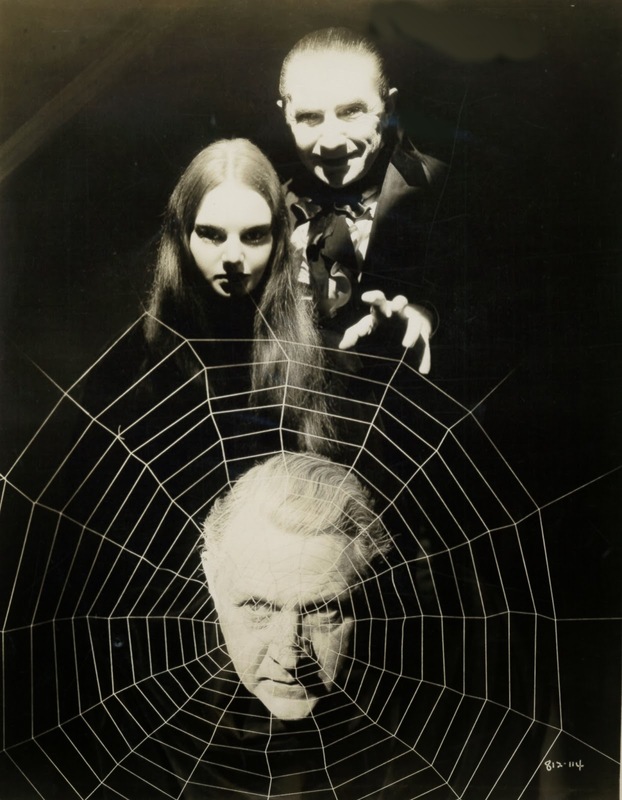 Then there is Lugosi, resplendent in Dracula-wear and prettified by a bullet hole to the left temple (how he came by that a plot element no one could hope to get past censors). BL has no dialogue save humor lines at a finish, but wow, those close-ups. Bela actually had more to say in Mark Of The Vampire's theatrical trailer, a classic in itself and thankfully included on the DVD. The trick shot of Borland flying in, flapping her wings still startles. First saw this one when it was part of the early 70's theatrical triple feature re-issue along with MASK OF FU MANCH and the F. march DR. JECKYL. Unlike you, I can't get past the resolution of the story, no matter how gorgeous the thing looks (and it does). Along with Devil Doll, it just puts the nail in the coffin (yes, intended) of championing Browning, at least after sound is added to the mix. Weak, if not stupid, stories coupled with a tendency to play it safe. 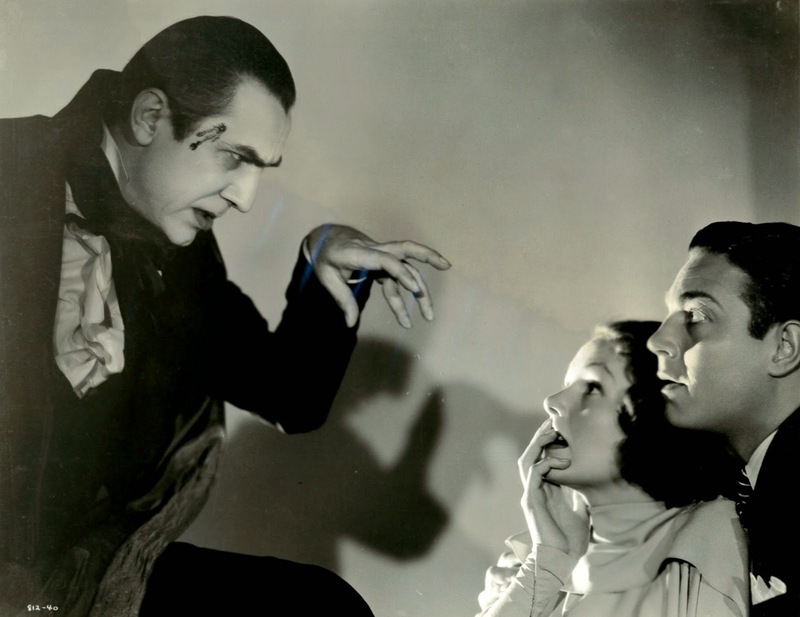 I'm perfectly willing to give credit to Karl Freund for the first third of Dracula and the cast for the rest. As for Freaks, the story and cast carried it. I'ts always ironic for me to see the MGM logo at the beginning of videos like Zombies or Mara Tau these days. Like you I salivated over the stills from this film in FAMOUS MONSTERS OF FILMLAND and other publications. Like you I was severely let down when I first saw the film (how many watched the Italian version of MARK OF THE VAMPIRE thinking it was this one as that is how it was listed in the TV guide). Like you I have come to appreciate this film more as time goes by. One look at those ads with Bela Lugosi's name given first tier lets us know what the real draw of this film was). I will bet patrons on the day walked out similarly bummered out. As this film is a re-make of the Lon Chaney silent LONDON AFTER MIDNIGHT we know without seeing it that that film too once it is (hopefully) unearthed will be a big let down. The vampire scenes in this film have never been done better. While we are on vampires I was lucky enough, after reading DVDBeaver, to track down one of the limited edition 1200 club pressings of Roger Vadim's BLOOD AND ROSES (1960) a film I have admired for years. It was terrible seeing it in the full screen el cheapo vhs Paramount produced. Last year I tracked down an uncut copy of the European version on the web. It was from a vhs with high contrasty colors that fell way short of the mark (of the vampire) but, WOW, what a film. Now I have it almost perfect. They forgot to have the roses turn to black at the vampire's touch. Extremely close but still no cigar.